One of the lesser known DC publications, right behind Chinos League. 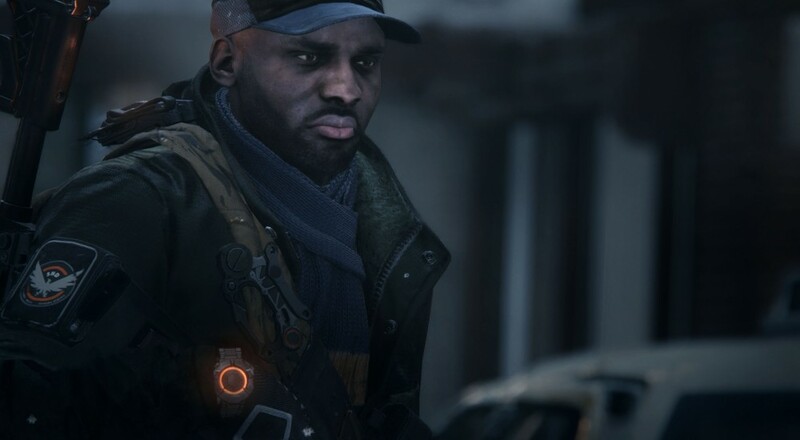 As everyone knows, trendy scarves are the absolute pinnacle of fashion, so the Co-opticrew will be dedicating most of their weekend to collecting said accessories in Tom Clancy's The Division. I hear there's also something called "third person shooting" in the game as well? That's unconfirmed, of course, but I suppose there has to be some sort of minigame to wrap around the constant drip of neck warmers. For those who haven't dedicated their firstborn to the "Cult of the Clance", this weekend will involve wargaming, Souls-likes, and (of course) Fire Emblem Fates. Anyone interested in both Orcs and neon lights should be sure to check out F.A.L.C.O. tonight as they crack into the meaty bits of Shadowrun Chronicles: Boston Lockdown. Nick Puleo (@NickPuleo) - "There are streets to clean and scarves to be found in The Division. I'll do that." Jason Love (@JLove55) - "I'll be admiring my vast collection of scarves in The Division, collecting cards and building decks while laying the smack down in FORCED SHOWDOWN, and perhaps finally getting back to FFXIV." Mike Katsufrakis (@Pheriannath) - "Some Division, some FFXIV, and hopefully some respite from my day job, which is slowly killing me." Marc Allie (@DjinniMan) - "Big board game day on Saturday, so looking forward to some tabletop and wargaming goodness." Eric Murphy (@smurph_em) - "We'll be streaming Shadowrun Chronicles: Boston Lockdown again tonight. We actually made it to the 4-player missions so get ready for a lot more action! 8PM CDT on our Twitch channel as usual. Otherwise, I'll be hitting up The Division." John Bardinelli (@itsamejohn) - "If I can carve out enough free time, I think I'll pick a random sandbox game on Steam and give it a spin. Can't hurt, right?" Locke Vincent (@LockeVincent) - "Also scarf hunting in The Division, and really feeling the pull of Salt and Sanctuary." Tally Callahan - "Continuing my deforestation of Tyria in Guild Wars 2 while I gather ALL the lumber. Other than that, continuing my playthrough of Fire Emblem Fates." Cecilia Good - "I decided to pick up Dying Light, so I will be surviving zombies and yelling out "parkour" repeatedly." Taylor Killian - "I'll be experimenting with eugenics in Fire Emblem, and inking all the squid kids on the block in Splatoon." Enoch Starnes (@enochstarnes) - "I won't be spending a ton of time gaming this weekend, but those precious moments will probably involve the final acts of Fire Emblem Fates." How about you? Will your weekend be spent poring over all the different ways to make the region below your face look dope as hell, or are you spending time elsewhere? Let us know in the comments! Page created in 0.6693 seconds.